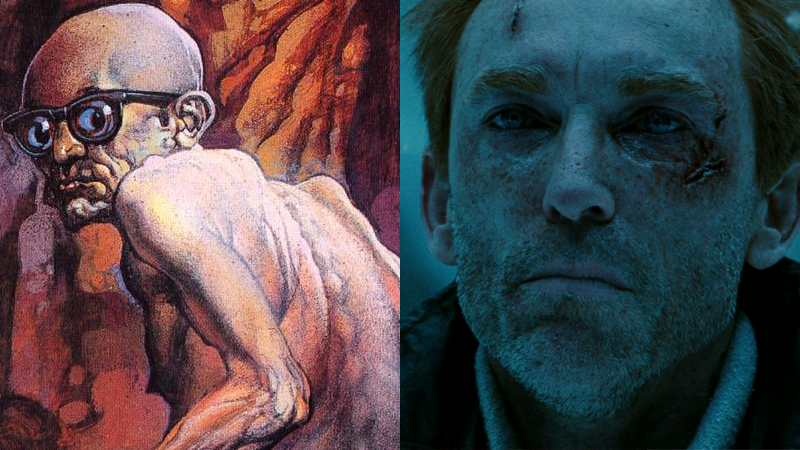 AMC’s Preacher adaptation has found one of its big villains—and it’s recruiting Watchmen’s Jackie Earle Haley to play him. The network has announced Haley will play Odin Quincannon across multiple episodes of the first season. A press release issued by AMC describes Quincannon as a “small, decrepit man with the unscrupulous iron will necessary to be the most powerful man in Annville County, Texas” who, like his comic book counterpart, runs the slaughterhouse in Salvation. What the press release doesn’t mention is if Haley’s character, who will appear in 6-10 episodes of the show, will be anywhere near as messed up as the comic version of Odin. In the books, Quincannon was both an unscrupulous, power-hungry businessman as well as a vile racist and active member of the KKK—constantly striking out at Jesse Custer and his allies in an attempt to take control of the town. He also does some, err, pretty lurid things with the meat left lying around in his slaughterhouse that will probably make you consider vegetarianism if they make their way to TV faithfully. Seriously, you don’t wanna Google it if you’re at work (or ever, really). Preacher hits AMC later this year.